The “Object 640” also known as a “Black Eagle” was created in 1990-s by the designers of Omsk KBTM (transport machine building bureau). 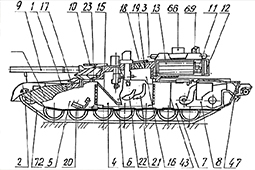 The tank belongs to a new generation and realizes a lot of innovative constructional decisions and arrangement which differs it from all classical Russian and western tanks. 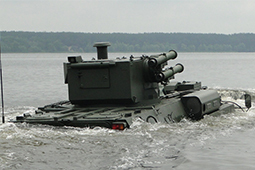 The tank uses the new design turret with low frontal profile and detachable transport and loading module. 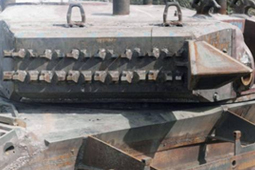 The armor protection of front hull and turret is modular design. The crew is stationed in the hull below the turret ring and completely separated from ammunition and fuel. “Object 640” (Black Eagle), "Unified turret" and "Burlak"
Russia develops a new wheeled version of advanced “Coalition-SV” SPA. On a visualization presented by “Burevestnik” Research institute a new design of SPA can be seen. 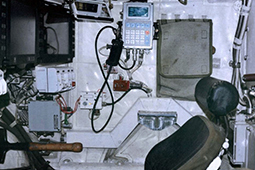 Though placement of system of such size on “Kamaz 6560” looks questionable. 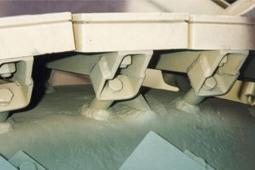 “Burevestnik” is famous from it’s previous 2-barrel design for tracked version of “Coalition-SV”. T-14 - the newest Russian main tank with an unmanned turret. 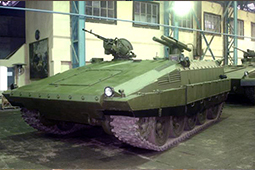 Tests of seagoing qualities of BTR-4, adapted for the needs of the Indonesian marine infantry before the transfer of Indonesia. In January 2017, 5 units of armored personnel carriers BTR 4-M was successfully delivered to the Marine Corps of Indonesia as part of the contract, Signed in early 2014. At this time, the future fate of the contract is not known. Upgraded T-72B tank (option T-72B3 with additional options). The main novelties of the presented tank are in the engine (1160 hp with automatic gearshift), The new panoramic sight of the commander with a laser rangefinder (produced by VOMZ), Installation of a rear view television camera and a number of other improvements. 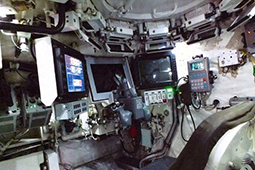 The tank self-pulling log is located on the starboard side (in the course of the tank) because of the installation of the rear view camera. 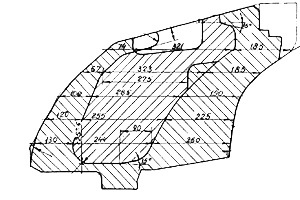 The decision is very unfortunate, because Prevents the reinforcement of the sides with dynamic protection. Our site is for those who are interested in information about modern tanks of the world's leading countries. 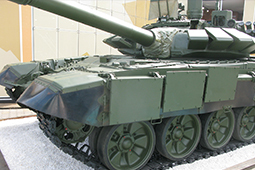 Particular attention is paid to developments of new generations of tanks and IFV, new concepts in the development and application, as well as to development of new Active protection systems, elecro-optical countermeasures, reactive armor e.t.c. 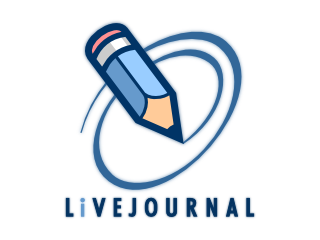 Also you can post your articles on your site, memoirs or photo materials, contact address btvt2017@gmail.com We also invite you to take part in the discussion of the materials on the pages of facebook, youtube and livejournal. The ERAWA armor is connected whit person of the Prof. Ph.D. D.Sc. Adam WISNIEWSKI from Military Institute of Armament Technology (WITU) in Poland. Name of this reactive armor is based on acronym: Explosive Reactive Armor Wisniewski Adam 1 and 2 layered. The origins of the ERAWA are hidden in half of the 1980s when polish Military Institute of Armament Technology had started (in person Prof. Ph.D Wisniewski) development process about new armor for deep modernization of the T-72M1. In fact WITU work had started about whole family of the armor whit two „tank” part: ceramic CAWA armor for main tank armor and explosive ERAWA armor as external layer. Rumors about eastern ( Soviet Union ) origins of the ERAWA are false. 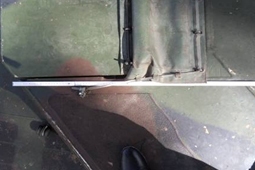 Polish Army during negotiation about future production in Poland T-72s tank (planned at half of the 1990s) rejected Kontakt-1 armor as solution whit many flaws and not good enough against suspected RPG's and ATGMS warhead in breakthrough of the 1980/1990.